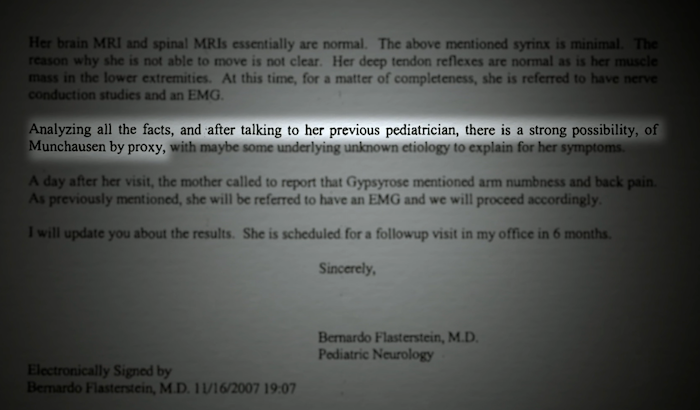 17 things you should know about Munchausen syndrome by proxy, after watching "Mommy Dead and Dearest"
In the recently released HBO documentary, Mommy Dead and Dearest, the story of Dee Dee Blancharde and her daughter, Gypsy Rose, reveals one of the most devastating cases of Muchausen syndrome by proxy ever witnessed by doctors, psychologists, and police. For decades, Gypsy’s mother forced her to undergo countless invasive surgeries, eat through a feeding tube, regularly ingest aggressive medication, and appear paralyzed. Gypsy — and everyone around her — was also made to believe that she was cognitively disabled. Eventually, with the help of her then-boyfriend, Gypsy murdered Dee Dee in order to escape the abuse. Gypsy is currently serving 10 years in prison, but will be up for parole after eight-and-a-half years. If you have not yet viewed the documentary, you may have had another introduction to the horrific dangers of Munchausen syndrome by proxy. In the 1999 film The Sixth Sense, Haley Joel Osment’s character helps a young dead girl (played by Mischa Barton) expose that she was slowly killed by her mother, who had Munchausen syndrome by proxy. 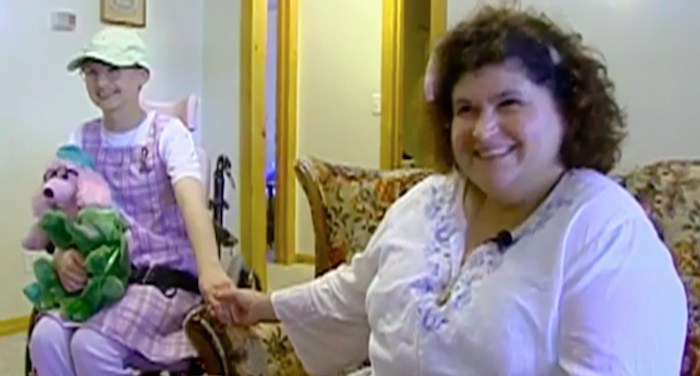 Mommy Dead and Dearest is profoundly disturbing, and it’s shocking that a caregiver would be able to keep up their deception and abuse for such a prolonged period of time. 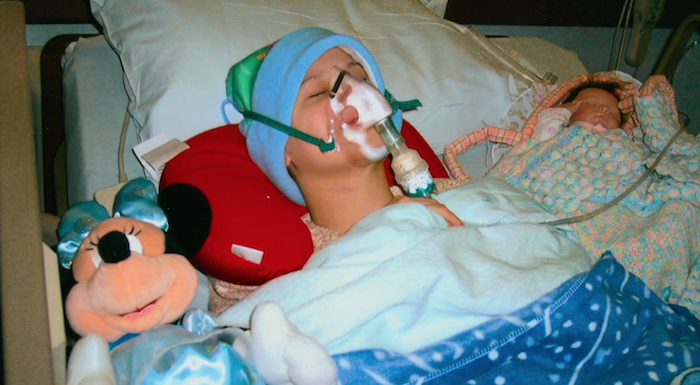 If you are also trying to make sense of this horrific story, here are some things you should know about Munchausen syndrome by proxy. 1. According to KidsHealth, Munchausen syndrome by proxy (MSBP) “involves the exaggeration or fabrication of illnesses or symptoms by a primary caretaker.” Conversely, Munchausen syndrome (without “by proxy”) involves the fabrication of illnesses and symptoms within oneself. 2. MSBP is a form of child abuse. It is considered so by the American Professional Society on the Abuse of Children. 3. Typically, the dependent involved is under 6 years old. 4. In 1977, MSBP was first documented by English pediatrician Roy Meadow. 5. The syndrome was named after the fictitious Baron von Munchausen. He was known as a man who fabricated stories about his life experiences for attention. 6. The “by proxy” part of this syndrome refers to the fact that the caretaker is making up symptoms for whomever is under their care. The symptoms do not apply to them. 7. In addition to lying to those around them, the caretaker may even go as far as causing their dependent to experience these symptoms. 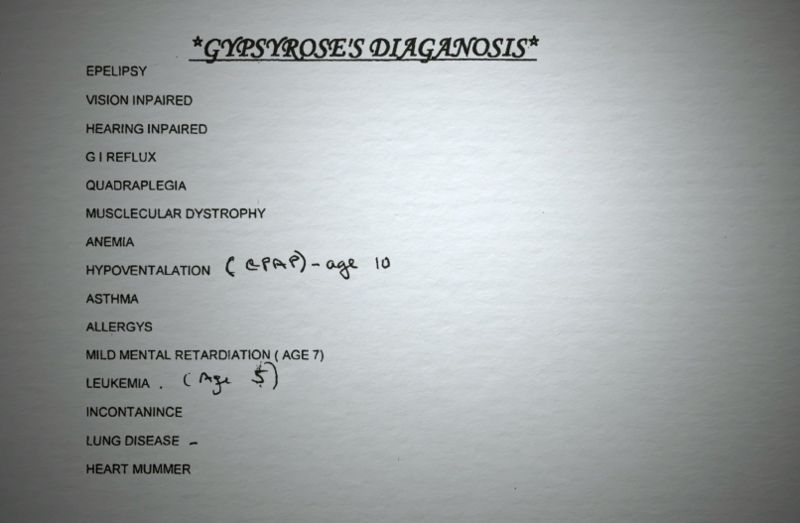 In this case, Dee Dee gave Gypsy medication that caused the symptoms doctors were aiming to treat. 8. According to Cleveland Clinic, it is estimated that 1,000 of the 2.5 million cases of child abuse reported annually are related to Munchausen syndrome by proxy. 9. Kids Health states that, in 85% of MSBP cases, the mother is the one causing the symptoms. 10. The general explanation for MSBP is the caretaker’s need for attention. They may also feel pleasure because they are able to deceive those they consider to have more power than them (doctors, law enforcement, etc.). 11. Doctors are not sure what specifically causes MSBP, but it is believed that it stems from issues that occurred during the caretaker’s childhood. 12. According to WedMD, it is important to recognize that MSBP does not only occur between a parent and child. It can happen to any person who depends on someone else for their care. 13. There have been some reported cases of MSBP being successfully treated through psychiatric intervention, even allowing the abusive caregiver, or “fabricator,” to become a safe guardian. However, that means the abuser needs to acknowledge their lies, recognize the harm they have inflicted upon their victim, and consent to intensive and regular therapy/psychiatric treatment. Sadly, it is difficult (and rare) for this to be achieved. 14. Psychologist Teresa Parnell finds in her research that, in cases of MSBP, the partner of the abuser is usually distant from the abuser and child — whether that is geographical distance or emotional distance. 15. The majority of MSBP cases are found in English-speaking countries, though there is a reported rise of cases in non-English-speaking countries. 16. The abusive caregiver has typically worked in health care, which allows them to use the correct terminology and fabricate the correct symptoms in order to justify medical attention. This was true for Dee Dee, who had been a nurse’s aide. 17. The child survivor often needs to be removed from the home by authorities and placed in the care of another guardian for their protection. 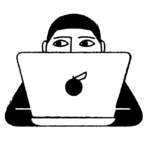 Additionally, they may need medical attention to treat any injuries sustained from unnecessary medication or surgeries, and therapeutic/psychiatric treatment for PTSD, depression, and anxiety resulting from the abuse. If you suspect that a child is a victim of Munchausen syndrome by proxy, contact a doctor, Child Protection Services, or 1-800-4-A-CHILD (1-800-422-4453) — a national 24/7 crisis hotline to help child abuse victims. Call 911 if you have reason to believe a child is in immediate danger.